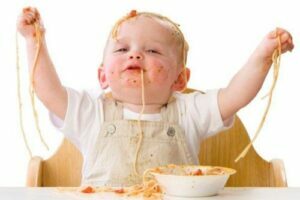 If you are like most concerned parents you’re probably wondering ‘is there a safe way to clean up after the meal-time?’ Well yes, there is always a better way and in some cases I have found the basic fundamentals to cleaning are not always met or thought about and the baby is found to be at risk due to the potential build-up of bacteria and unwanted nasty stuff like mold even. There are in my opinion various stages to cleaning and parent especially with a child should know where they stand in the cleaning process that almost becomes a ritual or at least a habit, however sometime as we all know habits can become less ideal to say the least and therefore it’s about setting in place a system that counters the negative habit forming when cleaning your child’s high chair, which gets messier than anything, well, maybe not the nappy! First stage: make sure you have a good cleaning product to use (Babyganics Multi Surface Cleaner) and stay away from bleach that is harmful to the skin. There are loads of forums and advice out there about what to use and what not to use, but just be sensible and always type in any search engine “baby safe to use ….etc ect”. This will hopefully come up with list of safe to use items, which have been certified by review and will meet USA standards, however the one mentioned above is a fantastic product and comes highly recommended by me. Second stage: Have a rotation of clothes that continually get washed/dried and therefore avoid the bacteria build up in them, which is one of the most common ways germs are spread. Having a clothe last for ages isn’t something to be proud of and either means, your not using properly or it doesn’t get washed properly. Personally once month ensures for me the standard of hygiene is met! Third Stage: Cleaning your babies tray, high chair, padding, seat and everything is really important and only wiping the tray isn’t enough. Some mothers might be saying “I can’t spend all day cleaning, I’ve got things to do”, that’s right you do and I am not trying to suggest clean 24/7, but I am suggesting having a deep clean once a week and the rest of the time can be surface level. 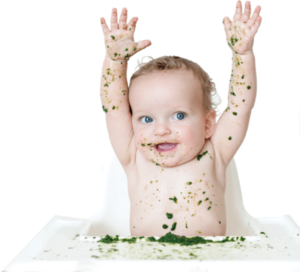 This will ensure that no build-up over time gets in the way of you or your child’s health. Fourth Stage: Some trays can be rotated through the washing machine and this can reduce the cleaning needed to make the eating area secure and bacteria-free. Fifth stage: Storing your baby high chair in the right location will make sure the dampness of laundry rooms don’t hamper the cleanliness of yours which might cause unwanted germs to fester and grow. These simple and easy to follow guidelines will help make sure your little-one grows up in a safe home, cause not all risks are outside and as a parent knows most things early on are at home.